MOORESVILLE, N.C. (Aug. 24, 2017) – Hoping three is the new lucky number, Cunningham Motorsports heads to Road America looking for its third road course win in a row by fielding three cars this Sunday in the Road America 100. 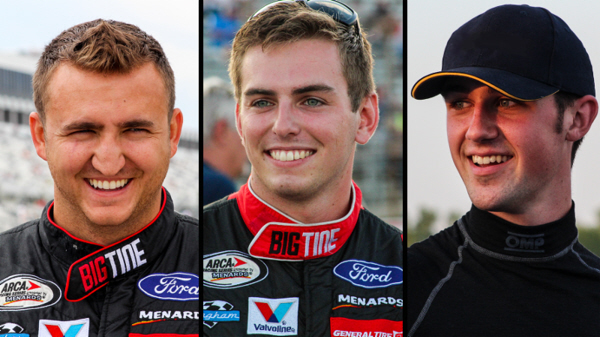 Shane Lee, Dalton Sargeant and NASCAR Camping World Truck Series rookie Austin Cindric will pilot the three Cunningham cars with intentions of defending the team’s recent road course success. Two of the most vital keys to the race, while they may seem simple, are to stay on the track and minimize mistakes. The slightest error results in longer lap times and avoiding mistakes can put a driver that much farther ahead than their competitors. Getting the most out of each corner is also critical. With a total of 14 turns, getting good acceleration off of the corners will give a driver faster speed on the long straightaways resulting in a quicker lap time. Cunningham Motorsports has won the last two road course races with the No. 22 car at New Jersey Motorsports Park in 2015 (Kyle Weatherman) and 2016 (Parker Kligerman). This will be Lee’s first time out on a road course. Earlier this month he went to the Ford Performance Racing School in Utah to get accustomed to the vastly different style of racing. Last time out, Lee continued to gain momentum with a fifth-place finish at the Illinois State Fair in his dirt track debut. Lee moved up to fourth in championship standings and is quickly closing in on third. Sargeant is no stranger to road courses. The 19-year-old spent the majority of his young career in open-wheel racing before making the move to stock cars in 2014. He is coming off of a solid race at the Illinois State Fair last weekend. Sargeant earned his 12th top-10 finish of the season with a 10th-place run in his first showing on a dirt track. Coming from a road course racing background, Cindric is pulling double-duty this weekend and will be making his NASCAR XFINITY Series debut after the ARCA race on Sunday. While this will be Cindric’s first ARCA start on a road course, he has earned two wins and two poles – coming in just two starts – in NASCAR K&N Series competition (at Watkins Glen and Virginia International Raceway). Cindric hasn’t been behind the wheel of an ARCA car since Lucas Oil Raceway in July. After winning the General Tire Pole Award and leading 53 laps, the No. 99 team experienced mechanical issues and ended the night with a 23rd-place finish. The Road America 100 kicks off Friday, August 25, with an optional practice day. Saturday will contain two practice sessions starting at 8:50 a.m. followed by General Tire Pole Qualifying at 5:10 p.m. The race is set for Sunday, August 27, at 12:15 p.m. and will air on a tape-delayed basis on MAVTV. Live timing and scoring will be provided at www.arcaracing.com. All times are local (Central). You can follow Shane and Dalton on social media as well. Follow Shane on Facebook/Twitter (@ShaneLeeRacing) and on Instagram (@Shane_Lee00). You can find Dalton on Facebook (@DaltonSargeantRacing) and Twitter/Instagram (@DaltonSargeant). Follow Austin on Facebook (@Austin.Cindric) and on Twitter/Instagram (@AustinCindric).